Collecting Vaillancourt chalkware isn’t just about having a large display of pieces, it’s partly about the community that is created amongst other collectors from around the world. And coming to our gallery during events (like Premier Number Weekend, Collector’s Weekend, and Starlight Christmas Opening!) throughout the year offers the perfect opportunity. Most people that purchase their first piece of Chalkware from Vaillancourts will usually purchase their second within the next year. Thus beginning the collection that can be handed down from generation to generation. Beyond being a highly-detailed masterpiece, Vaillancourt Chalkware is able to tell a story, a piece of history, that holds special meaning to those who buy it and to those who receive it as gifts. 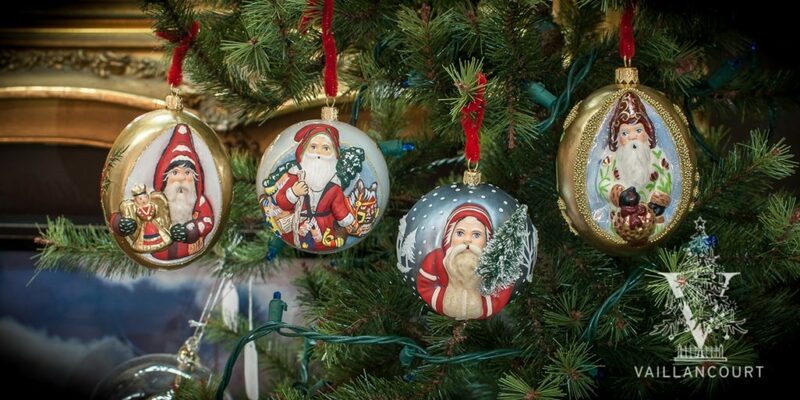 That’s why for a quarter of a century, Vaillancourt Folk Art has built a reputation for being one of America’s best known high-end Christmas collectibles. Some collectors say that they only buy sentimental, some buy to complete the collection, but regardless their reason, collectors always pay careful detail to the piece they are choosing—they have to have the perfect eyes and face that make their piece’s personality. Looking to shop? See what’s trending today and what we only have one left of in stock of!